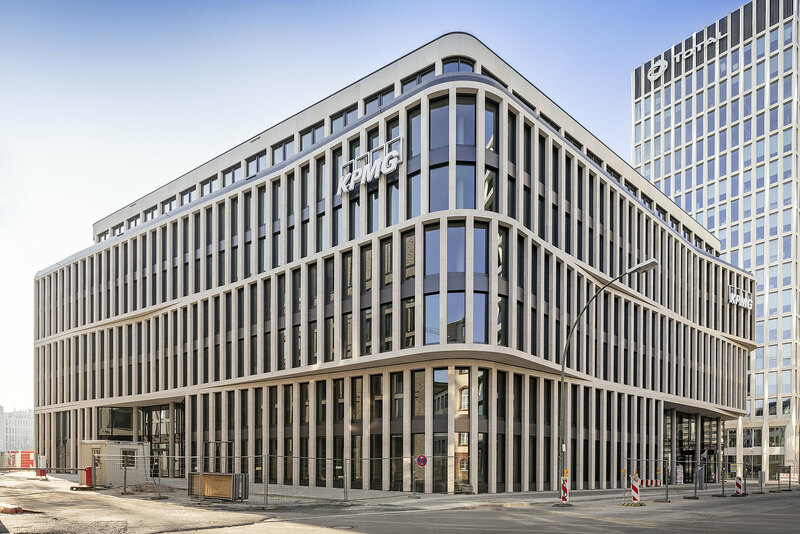 Situated on Heidestrasse next to the TOUR TOTAL tower, the KPMG building is one of the next elements in the Berlin’s expanding Europacity district. With a location in a prosperous new district close to Berlin’s main rail station and the government quarter, office users based here will enjoy unbeatable advantages. 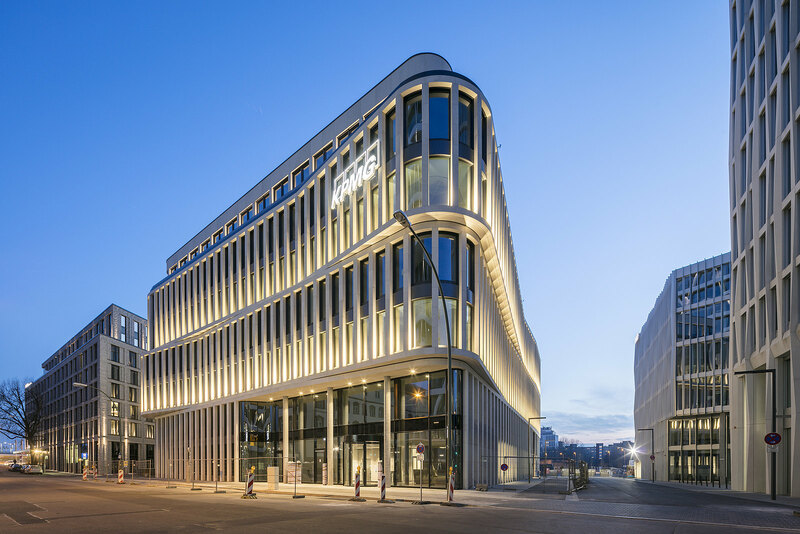 Designed by KSP Jürgen Engel architects of Berlin, the building will blend with the contours of its surrounding structures in presenting an expansive, arcade-like facade. 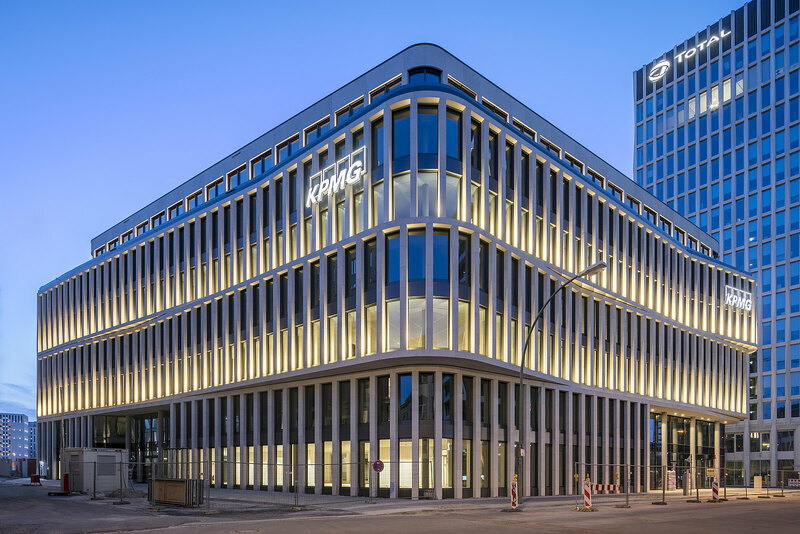 Auditing firm KPMG AG has concluded an agreement with CA Immo to lease 12,800 sqm of rentable space in the office building. The company will be the exclusive office tenant for the building. CA Immo is investing some € 57 m.
KPMG will accommodate various service departments on the site, including its internal IT services and finance divisions. The new seven-storey building offers approximately 14,300 sqm of gross floor space along with three underground parking levels. 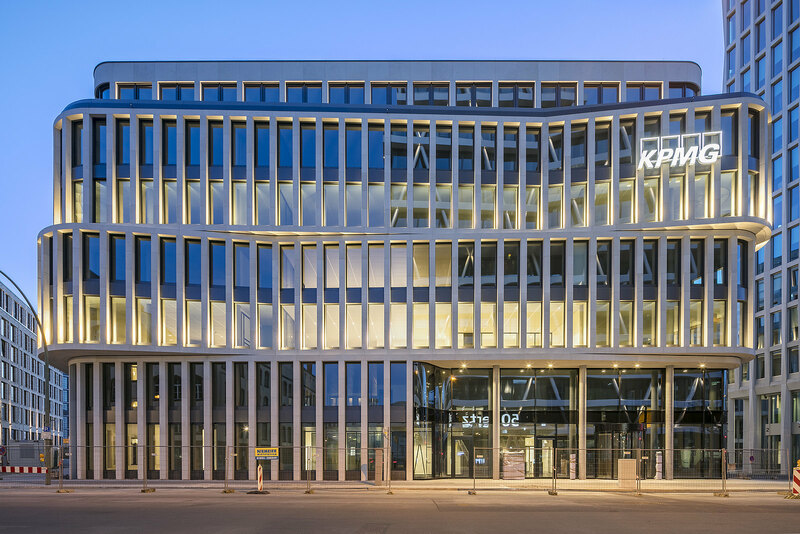 Do you have any questions, or need more information on the KPMG building in Berlin’s Europacity? Simply contact us!